The Jellies Experience, which opened to the public Saturday, March 31, is the Monterey Bay Aquarium's newest installation featuring the popular sea creatures. "The Jellies Experience is going to look and feel very different from anything else we've done before with jellies," said Ken Peterson, aquarium communications director. "It's going to be very interactive, very hands-on. 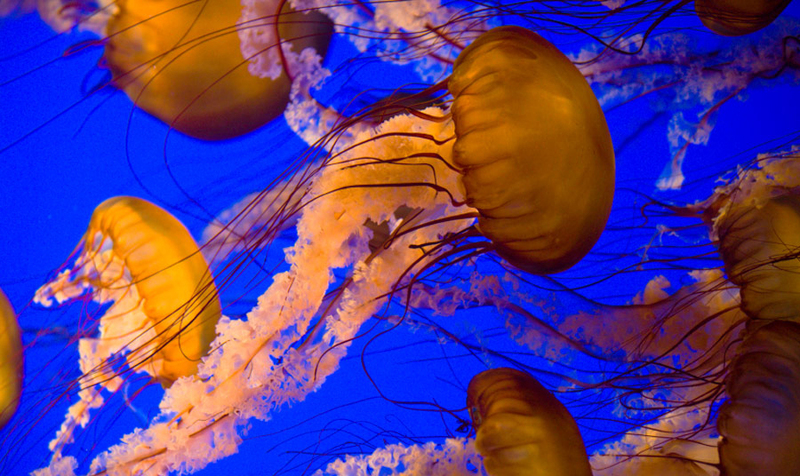 Fifteen amazing live exhibits on jellies we've never had before, and definitely showing off some different sides of their lives that we haven't in the past." Make sure your spring break vacation includes a visit to this magnificent new exhibit. <a title="Monterey Bay Aquarium Package" href="http://www.montereybayinn.com/special-pkg/monterey-aquarium-pkg.aspx">Aquarium packages</a> are available at each of the Inns of Monterey. Tickets purchased through our hotels are good for two consecutive days of admission through the member's only express entrance or call 800-232-4141.